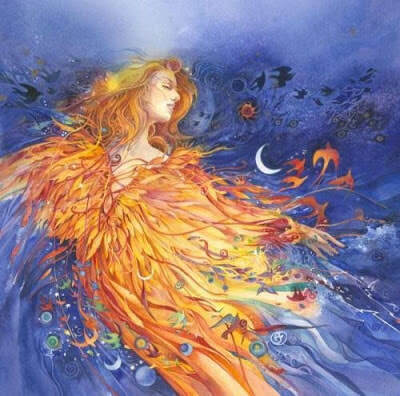 Come and join us once a month in the Women’s Mysteries Circle and explore the power and myth of the Goddess archetypes that can heal us, bring us wisdom and inspire our lives. In this circle we will tell the stories of the Goddesses, share wisdom, perform ritual, and leave with magickal knowledge to bring back into the busy days of our lives as daughters, wives, mothers, sisters and carers of the earth. Let’s embrace sisterhood and support each other with our strength. All women are welcome including transgender women. This circle is facilitated by Meri Fowler and Gwenevere, both Celtic Shaman and Wiccan Priestesses. Tuesday January 22nd Goddesses of Hearth and Home: This circle will explore bringing peace, harmony and magick into the home to help create an atmosphere that supports love and healing. How do you invoke the Goddess of the hearth into your own home? How would that change you? Tuesday February 19th Goddesses of Love: We will look at the deep meaning of the many different types of love that make up the fabric of a woman’s life and explore the creation of love spells. Tuesday March 19th Mother Goddesses of Fertility and Birth: This month we will look at the role of women as creators giving birth not only to children but to life, love and change. What do you want to give birth to? How can we learn our deep potential? Tuesday April 16th Goddesses of Magick and Manifestation: What is women’s magick? How can we manifest what we want through magick in harmony with the world? Can we manifest magick for others? Tuesday May 21st Goddesses of Healing and Herbology: The Wise Woman of old often cured her family and village with herbal teas, tinctures and essences. We will look at the basic healing herbs all women should know and how to make potions which can be incorporated into your life. Tuesday June 18th Goddesses of Faery and Celtic Queens of power: Where is your power? What are you afraid of? Do you see yourself as a warrior? Exploring Celtic myth reveals amazing practices that can open you up to your personal power. Tuesday August 20th Goddesses of Harvest and Wine: How do women celebrate? What does gratitude do in our lives and in our bodies? Can we live a life of joy amid the pain of every day worries? 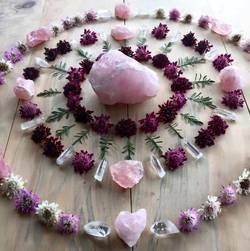 This circle will address profound healing of the soul. Tuesday September 17th Goddesses of Ancient Wisdom and Seership: Do you have psychic abilities? Did you know that all women have abilities and that working in a sisterhood is one of the ways to open up these gifts? We will look at women’s power as an oracle including dream interpretation. Tuesday October 15th Goddesses of Death and Transition: It is often the role of the women to assist people to pass beyond the veil. How do we do that? How do we express and release grief in a healthy manner? Can we as women hold and heal the grief of the earth? Tuesday November 19th Goddesses of Renewal and Rebirth: We are moving towards the return of the light at the winter solstice and the birth of the child of promise found in all cultures and belief systems around the world. How do we renew ourselves? Can we give birth to ourselves and cleanse our souls? What is spiritual renewal? In December we will plan a time to celebrate the return of the light in Sisterhood. Let us celebrate peace on earth.